Short: Discover the ultimate jewelry making collection, now 80% off! 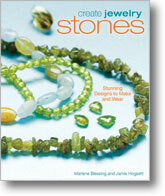 Create fabulous jewelry in stones, pearls, crystals, and gemstones . . . at 80% off! Get 4 essential resources at one unbeatable price—but only for a limited time! Jewelry makers and beaders love working with glass beads for their versatility, affordability, and ability to be used in a combination of techniques. 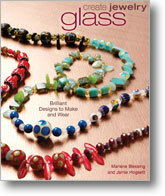 Glass beads can add a subtle shine to a jewelry design or take center stage. From tiny seed beads to eye-catching lampworked beads, glass takes many forms - clear, transparent, opaque, vibrantly colored, shiny, or matte. 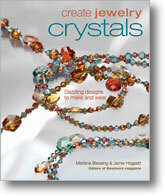 Discover Create Jewelry: Crystals with 20 stunning designs from the editors of Beadwork magazine that showcase crystals. All projects are glamorous, fashionable, and represent a rich variety of ways to use these gemlike beads. In addition, they range in difficulty from easy stringing pieces to more challenging seed bead weaving designs. 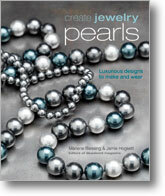 In Create Jewelry: Pearls, the editors of Beadwork magazine combine stories of this irresistible gem with gorgeous designs to inspire and delight the modern jewelrymaker. Projects incorporating natural, freshwater, and imitation pearls draw on a wide range of exciting materials, colors, and shapes in 20 stunning, wearable designs. Don't wait; claim your bundle today!